Free Delivery on orders over €29. Exclusions apply. Super silly scented art case contains all the scented Crayola tools you'll need to create amazing scented art! Get ready to be creative, because this super silly scented art case contains all the scented Crayola tools you'll need to create amazing scented art! 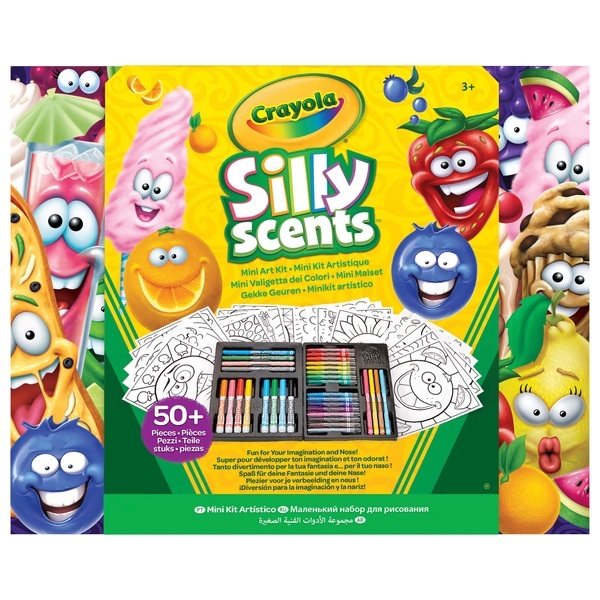 Contents includes - 16 Silly Scents Mini Twistable Crayons, 8 Silly Scents Slim Markers, 8 Silly Scents Broad Line Markers and 20 Sheets of Paper with Silly Scents Page art.